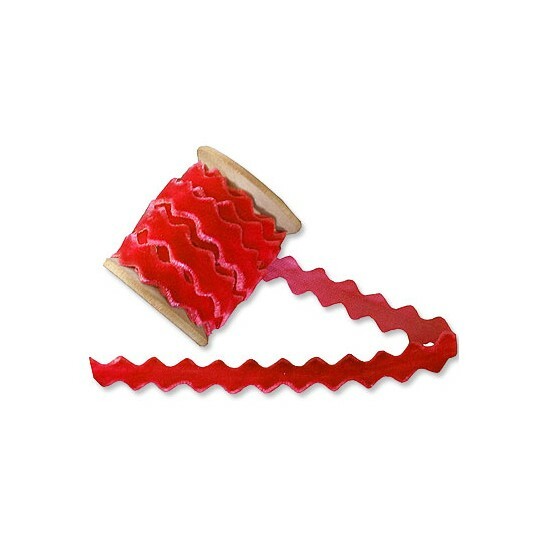 This velvet ric rac trim in soft red measures just over 3/8" wide and is perfect for so many projects, both craft and sewing. 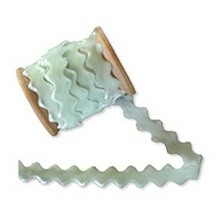 It also makes lovely ties on holiday packages and gifts. Imported, 100% nylon. Priced at $1.10 per yard, please enter the number of yards desired below. 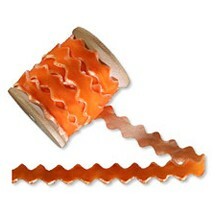 This velvet ric rac trim in orange measures just over 3/8" wide and is perfect for so many projects, both craft and sewing. 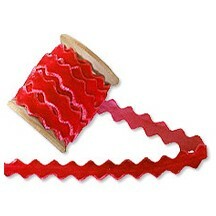 It also makes lovely ties on holiday packages and gifts. Imported, 100% nylon. Priced at $1.10 per yard, please enter the number of yards desired below. This velvet ric rac trim in berry measures just over 3/8" wide and is perfect for so many projects, both craft and sewing. 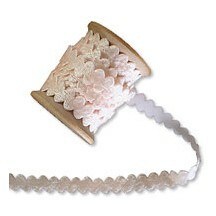 It also makes lovely ties on holiday packages and gifts. Imported, 100% nylon. Priced at $1.10 per yard, please enter the number of yards desired below. 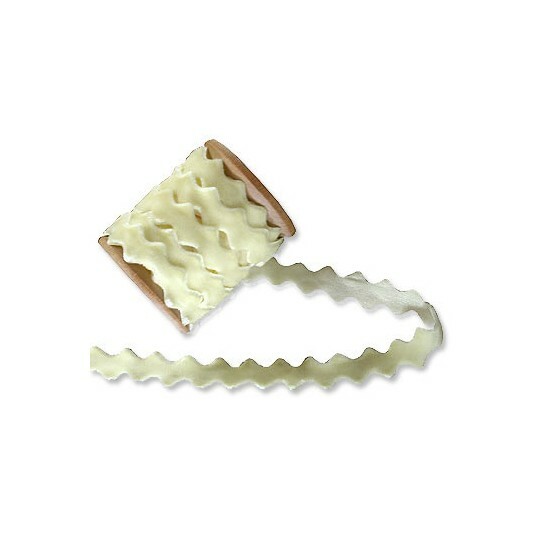 This velvet ric rac trim in cream measures just over 3/8" wide and is perfect for so many projects, both craft and sewing. 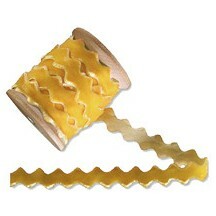 It also makes lovely ties on holiday packages and gifts. Imported, 100% nylon. Priced at $1.10 per yard, please enter the number of yards desired below. 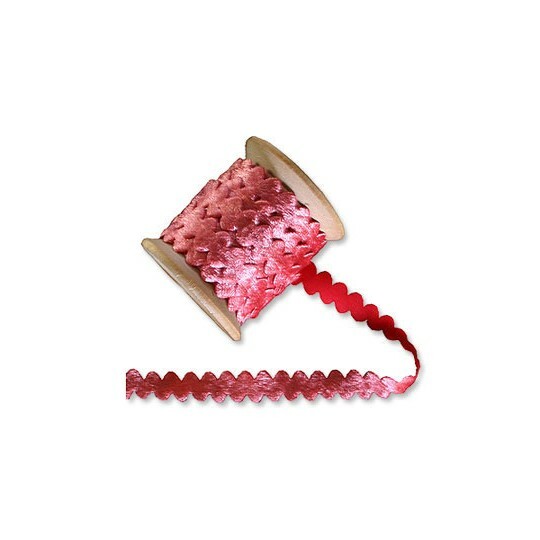 This velvet ric rac trim in deep rose measures just over 3/8" wide and is perfect for so many projects, both craft and sewing. 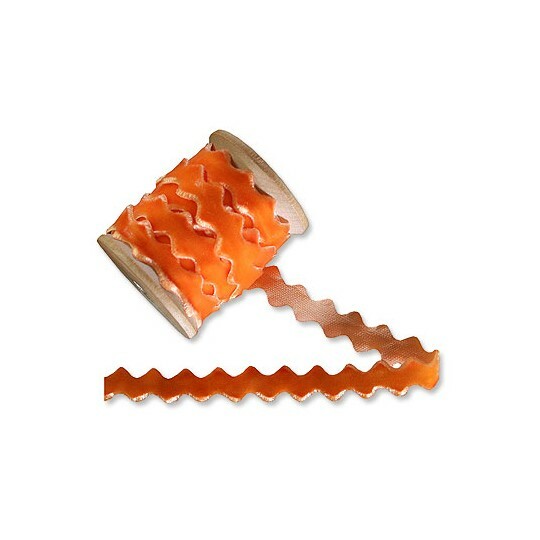 It also makes lovely ties on holiday packages and gifts. Imported, 100% nylon. Priced at $1.10 per yard, please enter the number of yards desired below. 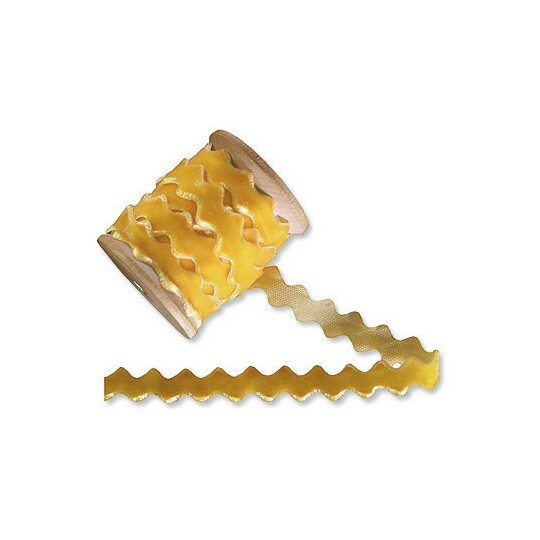 This velvet ric rac trim in golden yellow measures just over 3/8" wide and is perfect for so many projects, both craft and sewing. It also makes lovely ties on holiday packages and gifts. Imported, 100% nylon. Priced at $1.10 per yard, please enter the number of yards desired below. 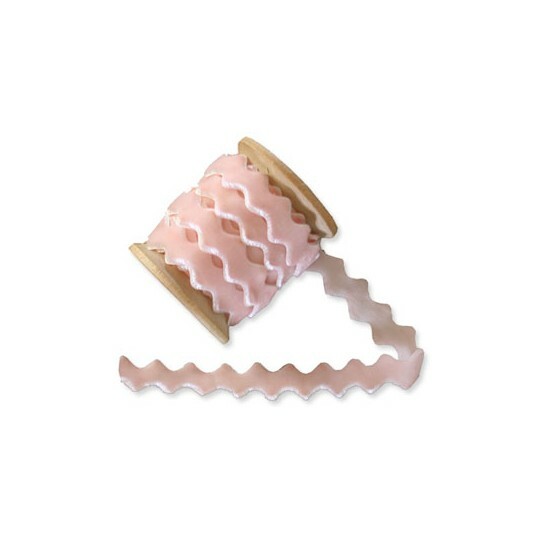 This velvet ric rac trim in cherub pink measures just over 3/8" wide and is perfect for so many projects, both craft and sewing. 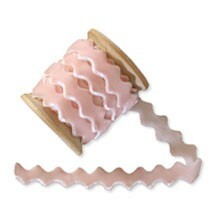 It also makes lovely ties on holiday packages and gifts. Imported, 100% nylon. Priced at $1.10 per yard, please enter the number of yards desired below. This velvet ric rac trim in iced lemon measures just over 3/8" wide and is perfect for so many projects, both craft and sewing. It also makes lovely ties on holiday packages and gifts. Imported, 100% nylon. Priced at $1.10 per yard, please enter the number of yards desired below. 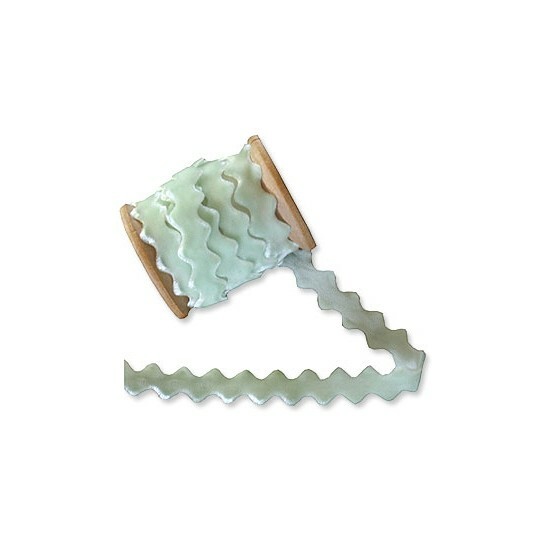 This velvet ric rac trim in iced mint measures just over 3/8" wide and is perfect for so many projects, both craft and sewing. 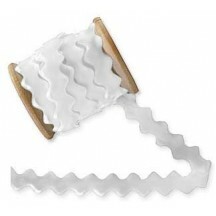 It also makes lovely ties on holiday packages and gifts. Imported, 100% nylon. Priced at $1.10 per yard, please enter the number of yards desired below. 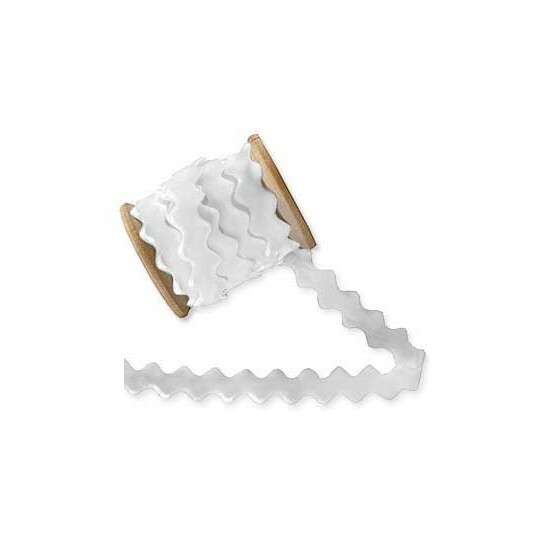 This velvet ric rac trim in white measures just over 3/8" wide and is perfect for so many projects, both craft and sewing. 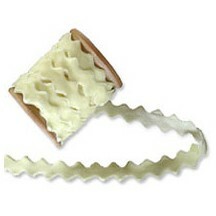 It also makes lovely ties on holiday packages and gifts. Imported, 100% nylon. Priced at $1.10 per yard, please enter the number of yards desired below. 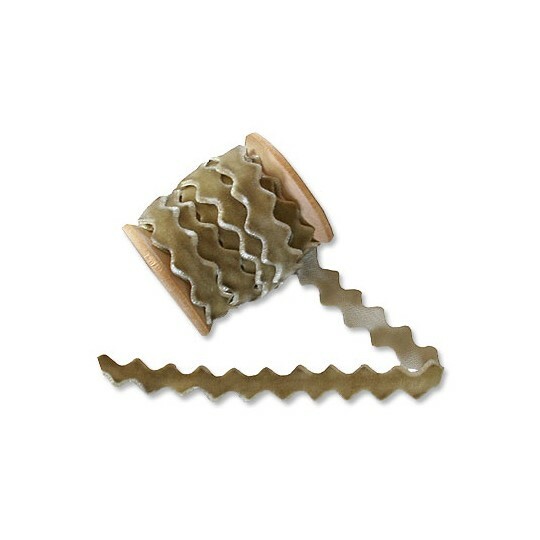 This velvet ric rac trim in taupe measures just over 3/8" wide and is perfect for so many projects, both craft and sewing. 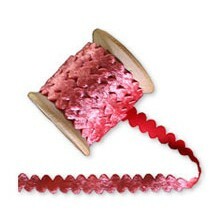 It also makes lovely ties on holiday packages and gifts. Imported, 100% nylon. Priced at $1.10 per yard, please enter the number of yards desired below. This velveteen ric rac trim in champagne measures 3/8" wide, has a pretty scalloped edge and a larger pile than our other ric rac. 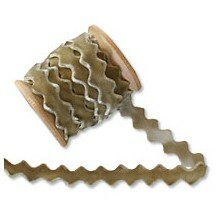 It's perfect for so many projects, both craft and sewing and also makes lovely ties on holiday packages and gifts. Imported, 100% polyester. Priced at $1.10 per yard, please enter the number of yards desired below. 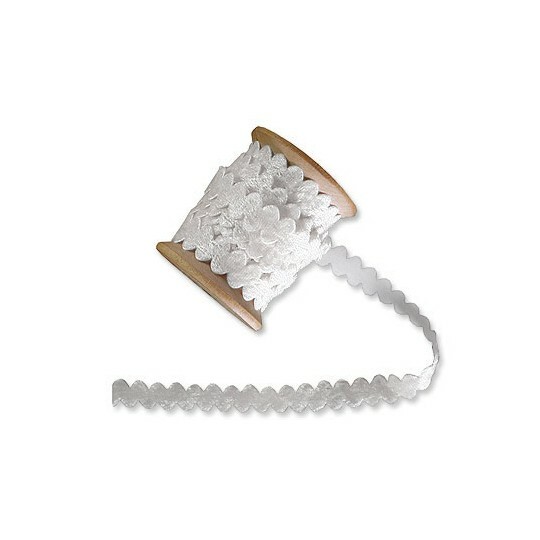 This velveteen ric rac trim in white measures 3/8" wide, has a pretty scalloped edge and a larger pile than our other ric rac. 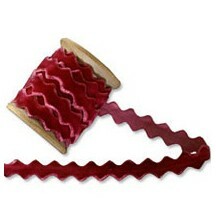 It's perfect for so many projects, both craft and sewing and also makes lovely ties on holiday packages and gifts. Imported, 100% polyester. Priced at $1.10 per yard, please enter the number of yards desired below. This velveteen ric rac trim in antique rose measures 3/8" wide, has a pretty scalloped edge and a larger pile than our other ric rac. It's perfect for so many projects, both craft and sewing and also makes lovely ties on holiday packages and gifts. Imported, 100% polyester. Priced at $1.10 per yard, please enter the number of yards desired below. 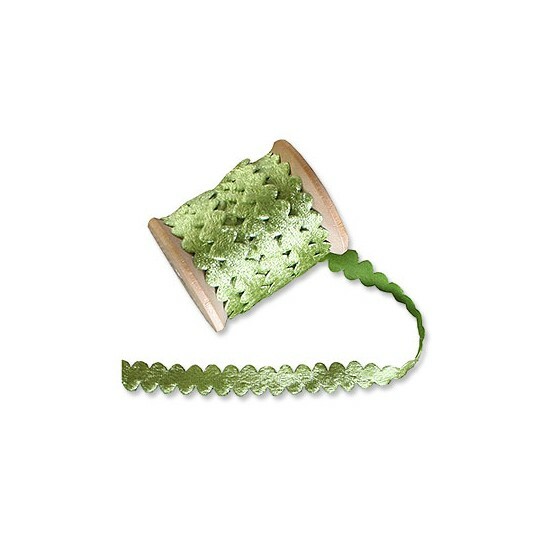 This velveteen ric rac trim in leaf green measures 3/8" wide, has a pretty scalloped edge and a larger pile than our other ric rac. 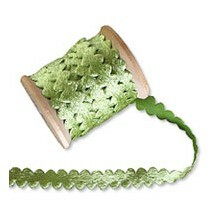 It's perfect for so many projects, both craft and sewing and also makes lovely ties on holiday packages and gifts. Imported, 100% polyester. Priced at $1.10 per yard, please enter the number of yards desired below.